Cache Logistics Trust's 4Q18 DPU -5.9% y-o-y but +1.8% q-o-q. 7.5% FY19F yield as at 25 Jan close. a lower contribution from 51 Alps Ave due to its one-time rental top-up in 4Q17. Cache Logistics Trust's 4Q18 distributable amount to unitholders dropped 5.3% y-o-y but was up 2.0% q-o-q to S$16.2m. Similarly, 4Q18 DPU dropped 5.9% y-o-y but was up 1.8% q-o-q to 1.502 S cents. FY18 DPU came in at 5.903 S cents which makes up 101.7% of our initial full-year forecast. Cache Logistics Trust's portfolio occupancy stood at 95.0% as at end-FY18 and rental reversions were -4.4% for the quarter and -4.5% for the year. We previously expected rents within the portfolio to bottom either end-2018 or early 2019, but now believe that a clearer pick-up in rental rates will only be seen closer to mid-to late-2019 instead. Leases representing 18.7% of Cache Logistics Trust's portfolio NLA and 22.0% of total gross rental income are expiring in 2019. Notably, one such lease is that for the single-tenanted Precise Two, a three-storey ramp-up warehouse within Jurong Industrial Estate – the asset accounted for 5.1% of the gross rental income in FY18. The existing tenant, Precise Development, will take up 20% of the asset’s NLA post lease expiry. Given that the asset is relatively new and in a desirable location, we are currently forecasting a decent 80% occupancy for the asset post-expiry. Management continues to focus on divesting short leasehold or lesser-performing properties and on re-investing into freehold or long leasehold assets. Geographies for potential acquisitions include Australia, New Zealand, and Korea. Recall that in FY18, Cache Logistics Trust divested two assets (Hi-Speed Logistics Centre in Singapore and Jinshan Chemical Warehouse in China) and acquired a portfolio of nine warehouses in Australia. We continue to be positive on the management’s capital recycling efforts. 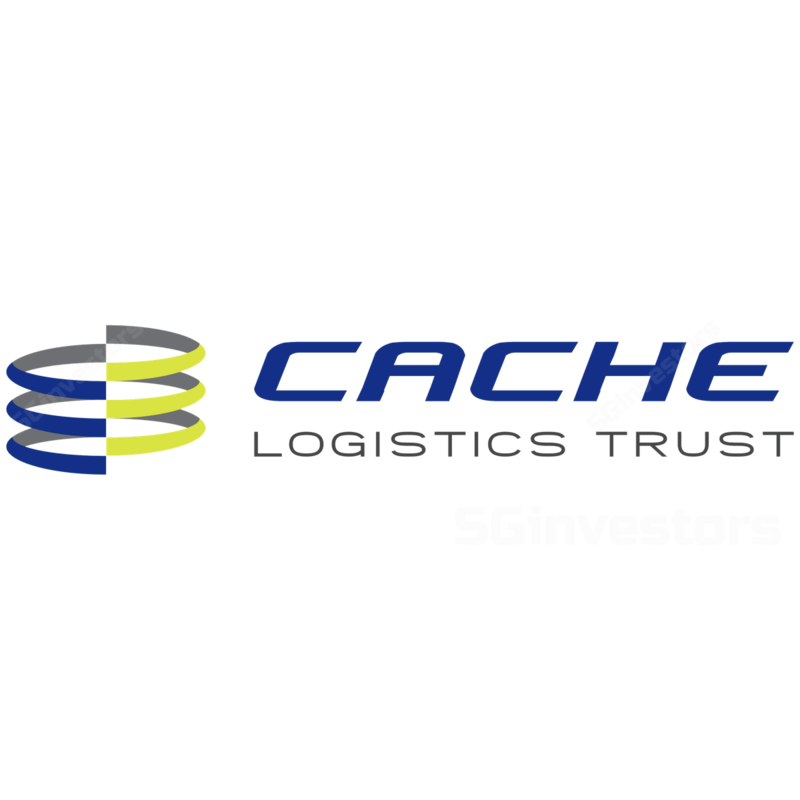 As at end-FY18, Cache Logistics Trust's gearing stands at 36.2% and the Singapore portfolio is entirely unencumbered. Since our BUY call on 1 Aug 2018 (see report: Cache Logistics Trust - Create A Cache Ahead Of The Curve), the REIT has posted total returns of +0.7%, outperforming the Straits Times Index by 2.7 ppt. After adjustments, our fair value falls from S$0.78 to S$0.76. As at 25 Jan’s close, Cache Logistics Trust is trading at 7.5% FY19F yield. Given our new fair value, we downgrade CACHE from Buy to HOLD.